Growing up in India, Madhuri Alahari gained courage and inspiration from her mother, who was widowed at a young age and had to overcome social and economic challenges to raise her children, pursue an education, and work her way up to a high-level government position. “My mother gained strength from our family’s support system, but many women in India do not have those opportunities and support. One of the reasons I came to Wharton’s MBA Program for Executives was to learn more about social impact and how to change the outlook toward girls in India and help them achieve their dreams,” said Madhuri. The senior manager of technology at Expedia in San Francisco also wants to learn how to make a greater impact at her firm. “I work in engineering systems, but I wanted to understand other parts of the business, especially the strategy and decision-making process,” she said. Madhuri knew that she would gain a more holistic view of business through her classes at Wharton. As for making an impact, she is exploring that area through extracurricular activities, particularly the Giving Back Club, which organizes activities for students to support their communities. Kicking off the toiletry drive for the homeless during the combined class week at Wharton San Francisco. “I was very interested in this club because, as well educated business leaders, we have a social responsibility to give back to our communities. During this program, it’s normal to feel too busy and overwhelmed to think beyond our coursework. So, I wanted to make sure that students have a chance to contribute to the community in meaningful ways,” she said. 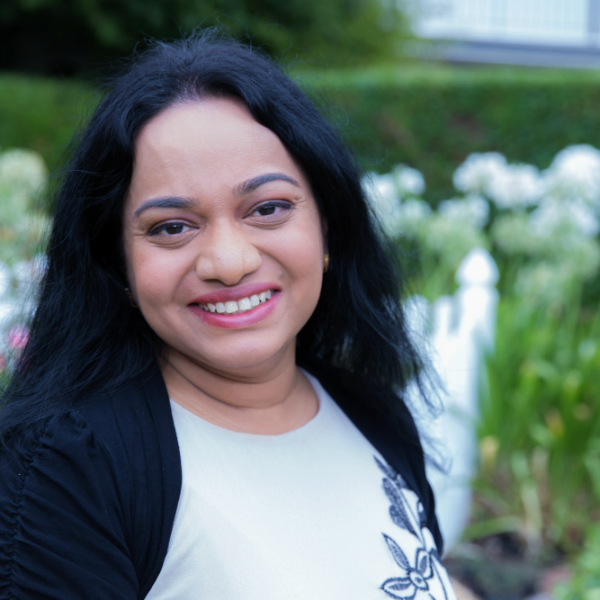 Co-leading the Giving Back Club for her class, Madhuri has helped organize several activities so far like a Giving Back Day in San Francisco and San Jose. During a non-class weekend, students in San Jose, California helped Life Moves by organizing its donation closet. “Family members joined us too. My six-year-old daughter had a lot of fun writing labels for the shelves,” said Madhuri. 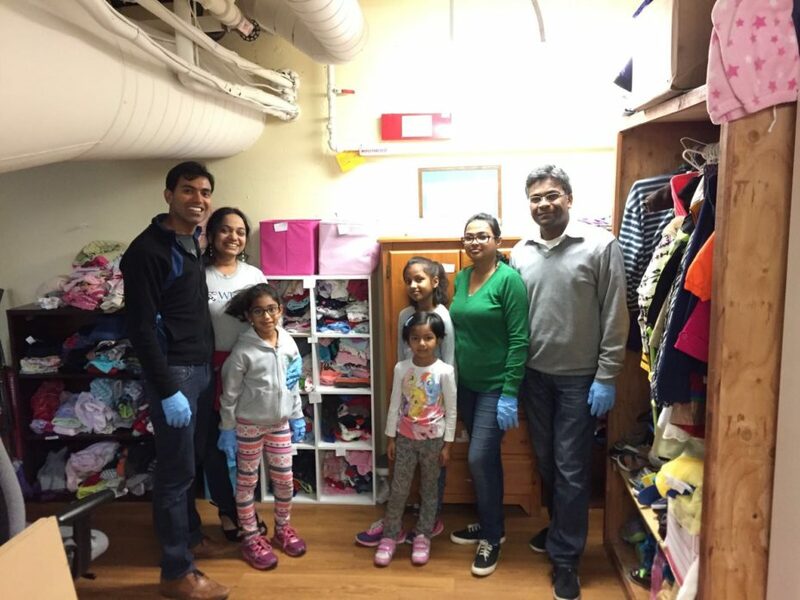 Madhuri Alahari recruited family members to roll up their sleeves and reorganize the Life Moves donation closet in San Jose. In San Francisco, students and families volunteered at a gift-giving drive at the Raphael House. Students who wanted to participate, but were not available on that date, contributed on their own time. 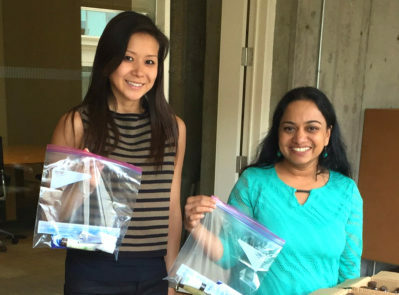 For example, Giving Back Club member Sabira Ahuja created hygiene kits in her home to donate to a homeless shelter. “My classmates continue to amaze me. They prove that however busy you are, you can still give back. All it takes is some planning and organization,” said Madhuri. 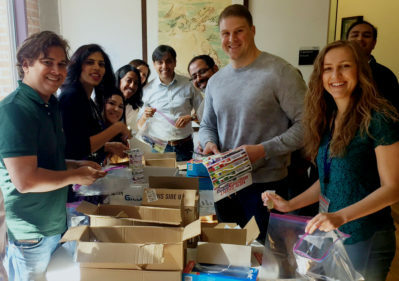 During the combined class week — when students from the East Coast joined the West Coast cohort on the San Francisco campus — Madhuri and other club leaders organized an opportunity for their classmates to give back. “We had already conducted a toiletry drive for Project Open Hand, where students brought in unused toiletries to donate to the homeless. Over the winter holidays, Wharton San Francisco Executive Director Bernie Birt donated them to the organization. We decided to do a similar project with the larger group during the combined class weekend,” she said. After a quick fundraiser from both the cohorts, Madhuri and her fellow organizers ordered the necessary toiletry supplies. With support from the administration, they set up a booth where students could drop by between classes to help assemble the kits. By the end of the week, the students put together a total of 1,025 kits. Students volunteering at Raphael House in San Francisco. “It was a rewarding experience for all of us to work together on this project. Everyone had fun and we made a positive impact for homeless people who needed these kits,” said Madhuri. More events are in the works for the next year, including an opportunity to serve meals at a local Ronald McDonald House. “Despite our hectic schedules, we can do smaller things together to make a larger impact. And by working on these community activities together, we deepen our bonds. 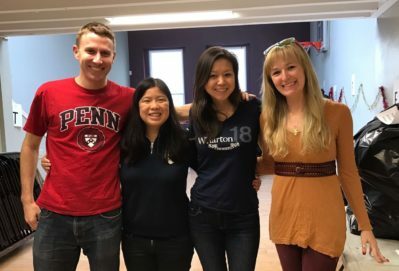 These social impact projects and my involvement in the Wharton Social Impact Conference are an important part of the Wharton EMBA experience for me. They are helping me learn more about this area and connect with other like-minded students,” said Madhuri.